When fatigue sets in from the holiday frenzy, your body and your mind can feel really depleted. But a more energized body could just be a matter of a little RX to recharge without going to extremes. Follow these easy and tasty tips to tweak your way to a more energized you in the New Year. Sugary sweets, heavy fatty meals, high-salt treats and alcohol can all inflame your body — setting you up for poor sleep, low immune response, and just feeling the after-holiday-blahs. Go back to your normal pre-holiday eating patterns and add in some of serious flame-quenching foods like hot chilies, blueberries, nuts, seeds, and spices. So instead of going for that bowl of cereal for breakfast, have a bowl of fresh berries topped with kefir or yogurt (if you tolerate dairy), along with chia, hemp, or flax seeds. Sprinkle on a few almonds or walnuts for a crunchy breakfast that will fill you up and sooth inflammation. Trim and remove the seeds from 8 hot chilies — such as habanero, jalapeños, or serrano. Peel and thinly slice one red or yellow onion into 1/8-inch thick rings. Warm 2 tablespoons olive, coconut, or safflower oil over medium heat in a well-ventilated kitchen (the spicy capsaicin can become airborn so be sure to have a fan on or an open window to protect your nose and eyes). Add the sliced chilies and onions. Sprinkle with a pinch of salt and turn the heat down to medium low. Cook 4 to 5 minutes, stirring occasionally until the onions start to brown. 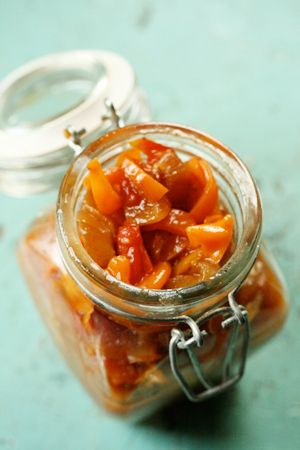 Cool completely then store in your fridge in an air-tight container for up to one week. Turmeric is a panacea of healing both in Western and Eastern medical traditions — only the West is not traditionally using it in cooking. The healing benefits of turmeric are well documented and in fact there are several compelling studies done in recent years on obesity in animal trials and diabetes in a small human trial. Turmeric is healing for diabetes, rheumatoid arthritis and may have potential for treating neurological disorders, such as stroke and Alzheimer’s disease. Turmeric is easy to cook with and a cinch to integrate into your favorite recipes. 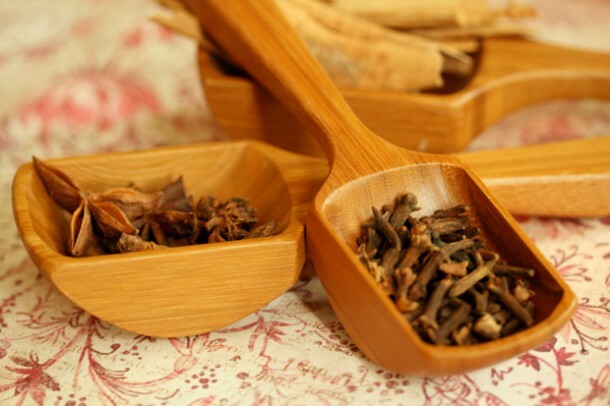 It has an astringent, slightly bitter taste but it pairs beautifully with other spices and you can easily sneak it into almost any meal. For starters, just put a pinch in your morning smoothie, oats, or even in your tea to give you body a boost. Turmeric is also delish added to your favorite spice rub for meat or added to your soup mixes. Shop for turmeric on-line , in spice shops, or in the spice isle of your local grocery store. Do you know that a recent study shows that turmeric can help to control your blood sugar? Turmeric can help regulate Beta cells responsible for the storing of insulin. There’s a reason why greens look so vibrant, they are rich with juicy vitality. So go ahead and get your greens on, but focus on superfood greens like watercress, kale, and spinach since they contain about 4-times the nutrition compared to other greens. Use fresh greens as a base for tuna or chicken salad, stews, or stir them into soups and tuck into quesadillas and pitas. In some cases, just 1 cup of greens like kale can give you more than 100% of your needs for major detox compounds like Vitamin A, Vitamin C, glutathione (the mother of all anti-oxidants) and sulfuraphane (which is a boon for your hard-working liver)! To make a plate of quick cooking greens, wash and slice your greens. Set out 2 tablespoons of flavorful add-ins such as raisins, chopped nuts, seeds, capers, olives, or crumbled feta cheese. Heat a large skillet over high heat and add one tablespoon of high to medium smoke point oil such as coconut oil, safflower or sesame oil. Add your greens and a pinch of salt. 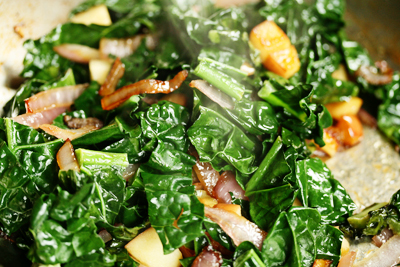 Cook 1 to 3 minutes (less time for delicate greens like spinach), turning often until the greens are wilted and tender. Turn the heat off and sprinkle with your add-ins. Half a lonesome carrot, half an onion, or garlic clove in your crisper? Don’t toss it, peel and chop then add to the greens as soon as you put them in the skillet. Do you love the recipe ideas you see in this post? 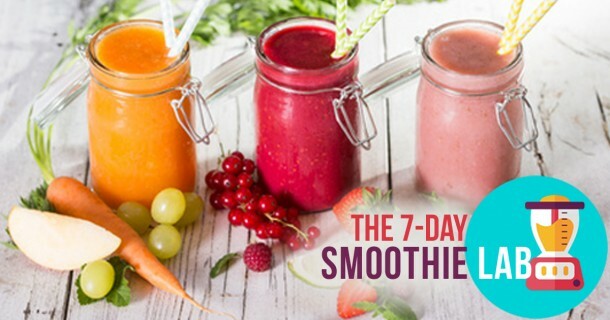 Then check out my 7-Day Smoothie Lab for free! You’ll learn to detox your liver and rebuild your body with great tasting smoothies, train your brain fog for balanced energy, and improve your physiology to dial down cravings.